As confirmed by Entertainment Weekly, former hype man/reality TV star and giant clock enthusiast Flavor Flav was arrested this morning in Nevada. 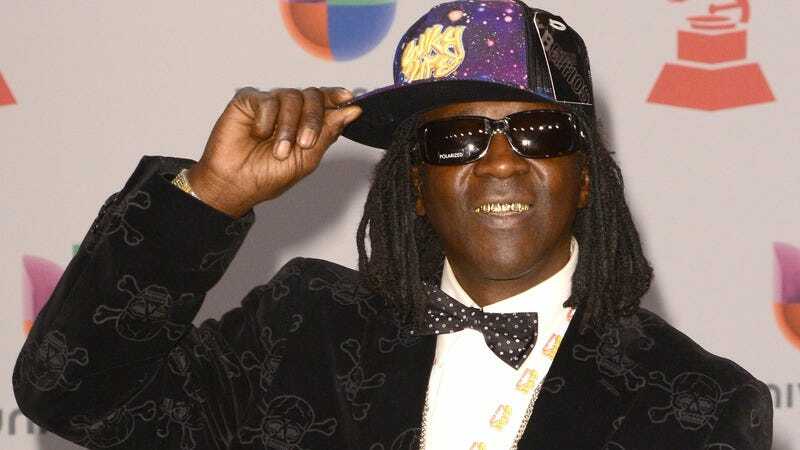 Flav was pulled over by Highway Patrol officers who then arrested him for DUI, possession of marijuana, having an open container of alcohol in the car, having a suspended registration, having a suspended license, and speeding. Basically, he did almost every bad thing you can do in a car without hitting somebody or something. They probably don’t give out awards for that sort of thing, but if they do, he’s totally in the running. Luckily for Flav, EW says all of these charges are misdemeanors—even though there’s a thousand of them—and it sounds like he’s already out on bail. That means he’s probably back on the streets, hyping things up for people and telling them what time it is. EW also notes that Flav was arrested back in 2014 for “speeding, driving on a suspended license, and possession of marijuana,” but that’s way fewer charges than this time.